2015. Horgos. Serbia. The closed Serbian-Hungarian border. The border had closed at midnight earlier that day, but thousands of migrants unaware of an alternative route hoped that it would be opened. 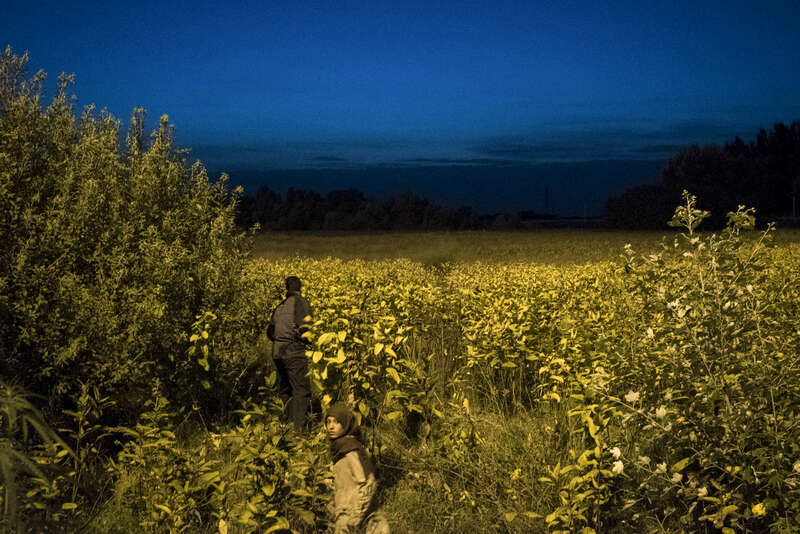 At the border fence thousands of migrants set up tents and demonstrated into the night while Hungarian police stood guard on the other side and shined their flashlights at the cameras of photographers attempting to photograph them. It quickly became clear that it wouldn't reopen and the next morning most pivoted towards Croatia. There were clashes the next day at the border, and Hungarian riot police tear gassed dozens of migrants.